Note: Since this piece was originally posted, a few friends made me aware of the anti-Israel sentiments of Ms. Stein's running mate. That's a deal-breaker for me. I will now cast my (write-in) vote for Bernie Sanders. Several readers have expressed surprise by my relative silence on the upcoming presidential election. In all honesty, there’s not much to say except that I’m depressed by a race between two grifters. Republicans surrendered to the Tea Party in 2010, and the Democrats stacked the deck to make sure Hillary Clinton got the nomination instead of Bernie Sanders, who represented a possibility of substantive change that no living American is likely to see again. What do you want me to say? That Donald Trump is a pompous fool, an arrogant pig, a joke in a hairweave, a national embarrassment? Isn’t that self-evident? Trump is the candidate of white trash, gun-rights Nazis, scared suburbanites, radical Christianists, gay-bashers, chauvinists, and assorted deluded people who haven’t noticed that America is a multicultural society. Trump’s only path to victory is to so disgust the electorate that only white people vote, but it could happen. Hillary Clinton should waltz to victory, except she won’t. Democrats couldn’t have picked a weaker candidate if they’d randomly chosen from an unemployment line. You know she’s bad when supporters have to cry “double-standard” at every step of a scandal-littered path. Then they tell people they “must” vote for her to “stop” Donald Trump. Here’s my answer: STFU! She’s better than Trump, but who wouldn’t be? That’s not the same as being worthy. Scandal follows Clinton for reasons that go beyond GOP fear-mongering: there’s so much garbage in her past that it’s child’s play to open a new trash pit. Not all it is fair, but there’s more truth to it than wide-eyed Hillaryites believe. Moreover, it doesn’t matter. You have to live in la-la land to believe that issues are the default position for voters—perception matters more. Don’t you love the way Clinton dropped the ball the very morning after Trump got caught suggesting Second Amendment advocates could assassinate her? Bingo! New allegations arose of misuse of email accounts to solicit inappropriate donations to the very Clinton Foundation from which wiser people told her years ago she needed to resign. She probably broke no laws, but do you see any sound judgment in this? Do her supporters even get the hypocrisy of telling people they “must” vote for her? Such assertions are anti-democratic authoritarian acts on par with the ideology they accuse Trump of having. Let’s start by discarding campaign rubbish that’s going nowhere regardless of who wins. Republicans can rant all they want about gay marriage, but the Supreme Court has ruled it legal and that’s the final word. 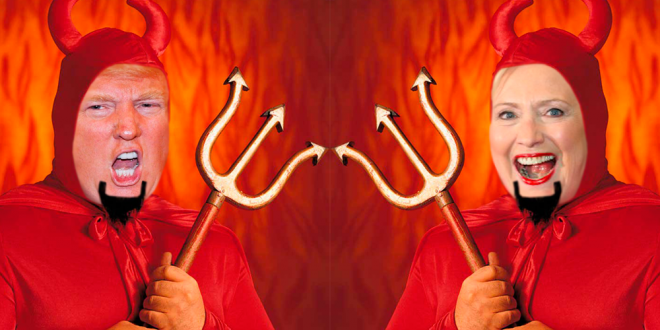 In like fashion, liberals can raise the specter of disappearing reproductive rights, but, in truth, radical Christianists have already gutted Roe to the point where poor women can’t get abortions. I refuse to get excited if some white chick from Atlanta has to have daddy fly her to Boston to erase her little “mistake.” (Oddly, it might help the case for protecting abortion access.) I’m no fan of the Affordable Care Act, but it’s not going anywhere either—even Republican governors have discovered it’s way cheaper than their states picking up the tab. 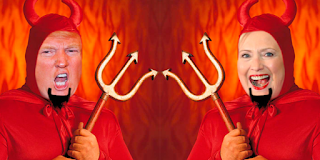 Trump would make cosmetic changes, but that’s it. Accept Syrian refugees? We don’t; we won’t—just 10,000 have come since the start of the conflict. Gun control? Not happening on either watch, and won’t until someone in the future with courage turns the IRS loose on the NRA. Environmental issues? They’re both so pro-development they make it easy to vote for Stein. On war and peace, I agree Trump is more likely to do something rash in the case of war but here’s the thing: Clinton is much more likely to get us into one in the first place. She is a hawk on overthrowing Assad, a hawk on reintroducing troops to Iraq, a hawk on boosting deployments to Afghanistan, a hawk on taking unilateral action against Iran, a hawk on introducing women to combat, and a staunch interventionist. Trump, on the other hand, has isolationist tendencies and thinks it’s not America’s job to clean up other people’s messes. I agree. Here’s the dirty secret neither Clinton nor Trump want you to know: on most issues they’re on the same page. Their differences are in the fine print, not in substance. Don’t take my word for it—go to Inside Gov and see for yourself. I see November as a choice between the sociopathic and the ethically challenged. I won’t stay home, but I will vote my values. *Stein won’t win, but does it matter which hollow coronation we display—that of the first female president, or that of the first TV psycho president? America already jumped the shark on the chance for real change. * I reserve the right to write-in Bernie Sanders' name. I'm watching the political winds and will vote for whichever of them seems most disruptive of the two-party system. There's an amazing array of underappreciated talent in the music world—some of it ready for prime time, and some just on the cusp. Here's a sampling. Shannon LaBrie is ready to rock. 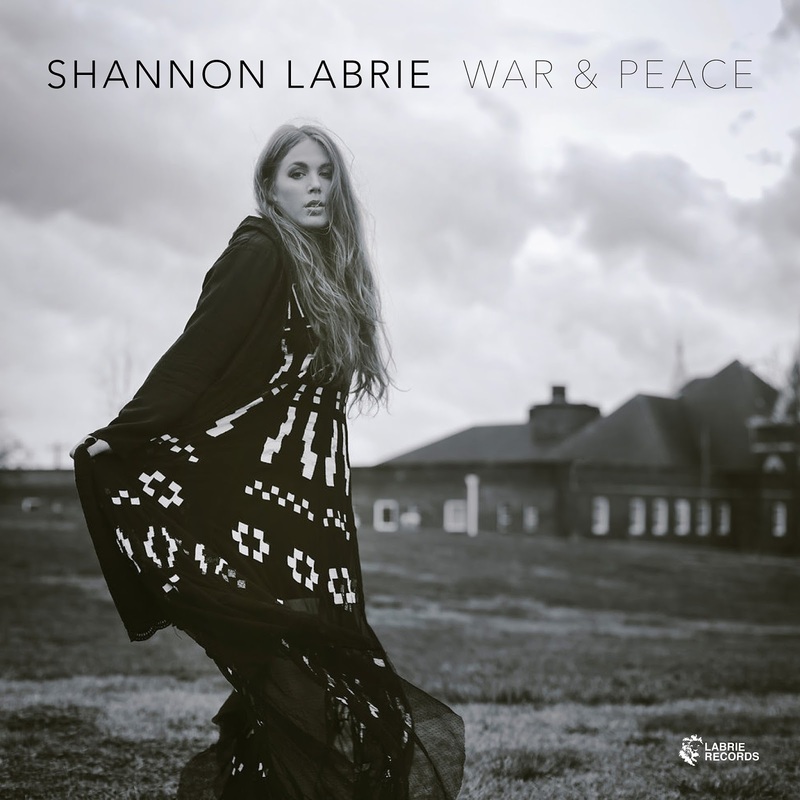 She scored a small hit with her 2013 record "I Remember a Boy," but her War & Peace: Songs from the Smokestack (LaBrie Records) is darker and superior. Its theme is one grown-ups recognize: things don't always go right. Sometimes that's by design. "It's Political" takes pols and promise-makers to task in a forceful song laden with pop hooks, contumacious electric guitar, and just a hint of punk. Then she brings it down to the personal level on "Alcohol," a tough song about trying to save a drunk but losing the lover/savior in the process. I loved the use of cello in the mix to deepen the pathos. Not had enough hard knocks? Check out her take on loss from a 13-year-old's perspective in "Heaven Crashed Down." This live recording of love, loss, and struggle takes no prisoners. In "Generation," she uses the image of a down-on-his-luck street person as a vehicle to probe the narcissism of her peers and suggest the lurking apocalypse. The title track deals with the loss of her unborn son. Yeah—that kind of tough. Oddly, though, the album doesn't feel depressing. How could it with such bold instrumentation and Labrie's even bolder voice? Call this one gutsy, not gloomy. Markowski's is a Milwaukee-based band fronted by David Engen. It is Milwaukee-based, but the music reflects the vagabond phase of Engen's life when he moved his family from Wisconsin to Mexico, Florida, and California before returning to the Badger State. His approach has been compared to that of Randy Newman–an apt, yet limited description. 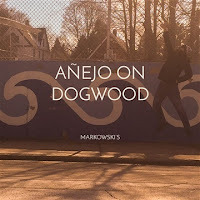 I was amazed by the diversity on Añejo on Dogwood (Markowski's). The opening track, "Margarete" has the rough spontaneous feel (with supporting brass)of a one-man band like Suitcase Junket, but Engen adds sophisticated polish.As we hear to great effect,in his travels he ran into a San Francisco horn trio called Beans & Rice, and they join in as muscular rhythm section on numerous selections, including "Know," and "Saturday Night," the latter sporting badass bass runs and the feel of party-like-you-don't care rockabilly. Once you know that Añejo is a type of tequila and Engen's go-to substance when he was on the road and trying to make sense of things, the album's sometimes R-rated vibe makes instant sense. On "Blacktop Sally B," the electric blues slide guitar and ominous organ notes give the song a groove like Booker T. at Halloween; on "Bolos," Engen slips into a vulnerable, pained falsetto voice, but the instrumentation is faintly West African. Engen changes his skin early and often. "Tell Me Rita" has the skiffle sensibilities of early Beatles tunes, but he follows it with "Canvasses," with its Eastern European/gypsy feel, then "Complicated," with dancey grooves and white boy's soul trappings. And if you're ready to judge this, check out "Piedmont," a sort-of love song, but one with defiant identity markers. He sings, "I was one of the smartest kids who ever came out of the Piedmont school" and proceeds to warn, "Don't you lecture me, don't you lecture me." Okay, Dave, I wont. 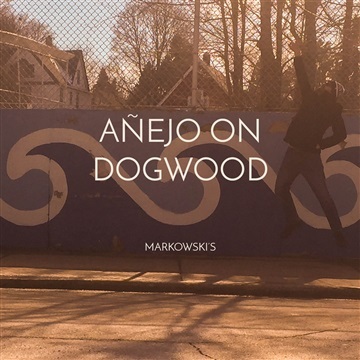 I'll just say that listeners need to go to Noisetrade and listen to Markowski's—and don't forget to make a donation when you download. 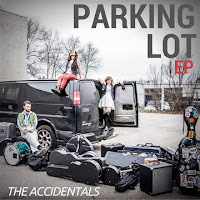 The Accidentals take their name from the musical term that refers to a note or pitch not associated with a particular scale or key that somehow fits into a melody. That's a pretty good handle for this Michigan-based trio (Savannah Buist, Katie Lawson, and Michael Dause), as their music has elements of folk, rockabilly, bluegrass, swing, indie music, and retro pop but isn't really any of these. This young band was dubbed two years ago as a "breakout" act. That hasn't happened yet, possibly because they're still experimenting. Their latest project, the EP Parking Lot (Savage Kitten) is seven tracks that sometimes dazzle and sometimes fall short of the mark. At their best, they do very intriguing things. On "Sixth Street," Buist lures us into the melody with some plinky ukulele and Lawson sneaks in at the bottom with sonorous cello. "The End" has the retro feel of 30s-style string band jazz merged with old-time music, and "Turn the Wheel" is an insouciant pop/country mash that's almost punkabilly. Is all of this a reflection of creativity or of striving for identity? Probably a bit of both. The title track suggests this. It's included twice on the EP, first as a slower, more soulful version, and again rocked out with a segue from rapper Rick Chyme that, in my estimation, adds nothing to the song and is there simply to make everything seem hipper. Buist and Lawson handle most of the vocals, so be prepared for two young voices that are not always up to the task of blasting through big arrangements, a problem that plagues "Epitaphs" and "Michigan & Again." I like these folks, but I think I'll like them more a few years down the road. 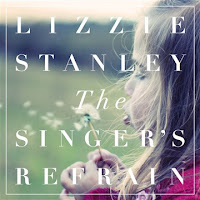 Lizzie Stanley is another performer with enormous promise, but could more seasoning. Her Kickstarter-funded eight-track debut The Singer's Refrain (Noisetrade). It takes its title from the lead track, which encapsulates Ms. Stanley's promise, yet points the way for future development. The London-based Stanley has a classically pretty voice capable of soaring glissando, attention-grabbing elides, and quick catches, but we can also hear her youth. At present she's strongest on the folk/pop end of the spectrum as in the title track, the memorable chorus on "Letting Go," or working through the rapid phrasing of "Alive." Her inexperience shows when she drifts to the slower side of things, as on "Blanket Jazz." The latter is perfectly competent, but we want jazz singers to sound sultry, not fragile. Stanley tends to over-rely on the high end of her voice, often allowing refrains to drift to a near-whisper, even when the song would be more dramatic if she dropped down instead of floating up. The album has high production values and sheen, but orderliness can be the handmaiden of ordinariness. More grit would add a new dimension to Stanley's repertoire. I don't have a lot of bio information on her, but I gather she's still in her early 20s. (It's hard to imagine someone in her mid-30s singing a song such as "Prince Charming.") 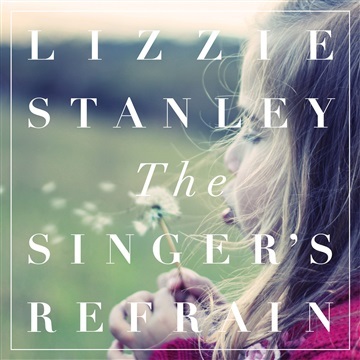 Lizzie Stanley is probably about where she should be at the debut album stage, but I can't wait until her beautiful voice acquires deeper burnish.